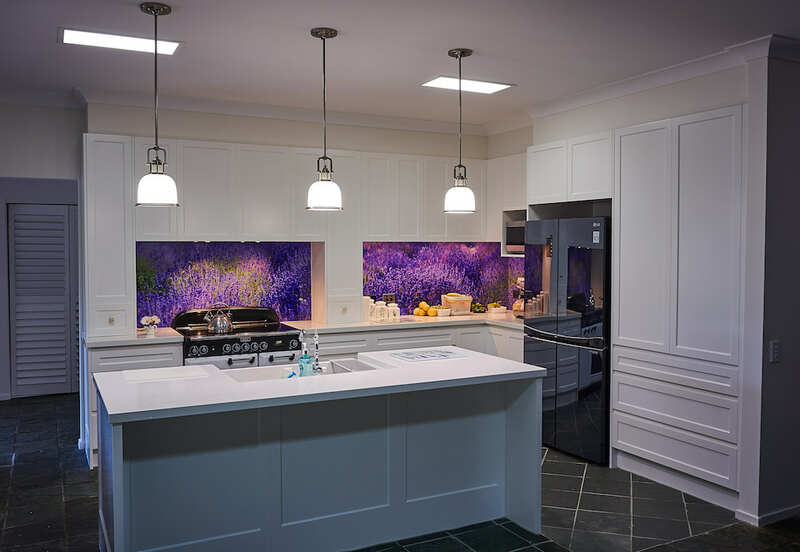 Our client has a lovely lavender field next to their home and her dream was to incorporate a lavender design into an antique kitchen with a modern twist. 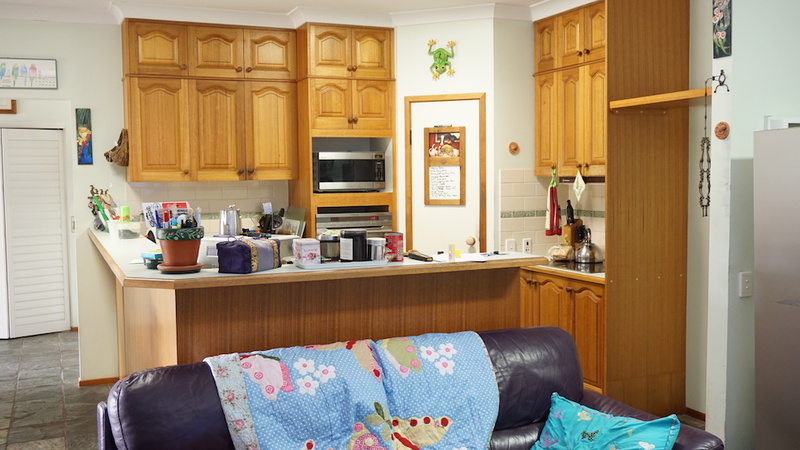 The existing u-shape kitchen had only one entrance and the client requested an island bench. Plumbing needed to be installed in the island bench to service the butlers sink as specified by our client. The design was kept very classical and the finger pull drawers and doors ensured that it has a modern twist. 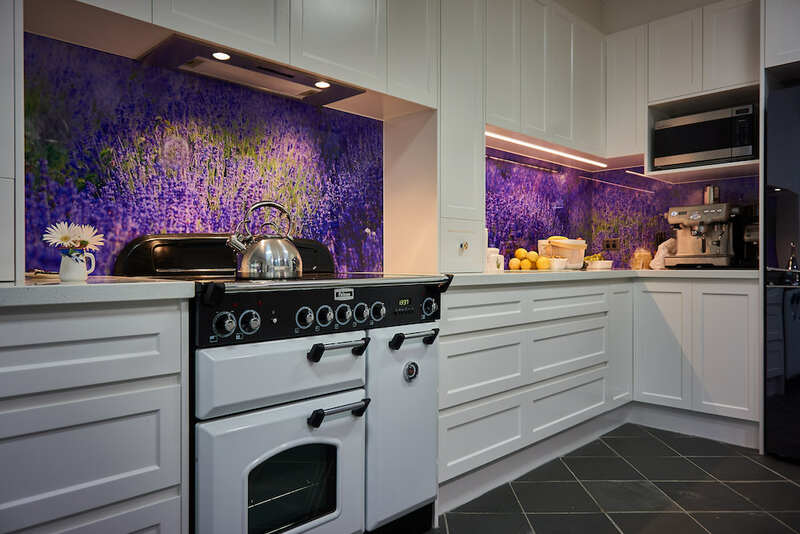 The client selected an image which was printed on the glass splashbacks to incorporate lavender into the kitchen.